Thief: Deadly Shadows and FOTONICA are this week's new additions to the OnLive PlayPack. The name Thief should ring a few bells, as Thief: Deadly Shadows is the third title in the legendary Thief stealth video game series. This week's two new additions bring the OnLive PlayPack to 221 games and counting. Thief: Deadly Shadows is a stealth video game published by Square Enix / Eidos and developed by Ion Storm. Let's hope that Square Enix also brings the first two entries in the legendary Thief stealth video game series along and of course the upcoming Thief 4. 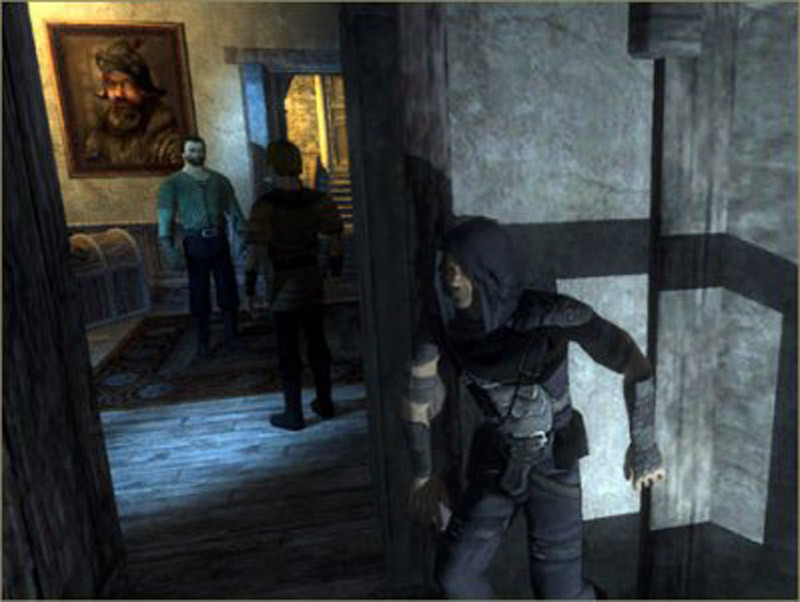 In Thief: Deadly Shadows you are Garrett, the master thief. Rarely seen and never caught, Garrett is the best that ever was. Able to sneak past any guard, pick any lock, and break into the most ingeniously secured residences. Garrett steals from the wealthy and gives to himself, making his living in the dark and foreboding City. Here crime and corruption are commonplace, wealthy nobles prey on the poor and each other, and magic and machinery coexist uneasily. World weary and cynical, Garrett wants nothing more than to be left alone to ply his trade. But things never work out that way. Prophecies of an impending Dark Age dictate a different plan for the thief. In Garrett's efforts to prevent this approaching Dark Age, he has inadvertently roused an ancient hidden evil. Without allies, Garrett finds himself standing alone between the City and the forces that would crush it. You can play the free demo of Thief: Deadly Shadows for the US powered by OnLive. You can play the free demo of Thief: Deadly Shadows for the UK powered by OnLive. FOTONICA is an indie game published and developed by Santa Ragione. FOTONICA is loosely an auto-running game, in the vein of Canabalt or Robot Unicorn Attack, but with tasty dollops of Mirror’s Edge and Rez mixed in to create something hallucinatory, abstract and balletic. And all with one button. It's a first person game about jumping, sense of speed and discovery. The key is timing, the goal is exploring and traveling flawlessly through the environment. The setting is an abstract - mainly duotone - outlined world, with a look referring to the geometrical abstractions from the 50s and the 3D low-poly gaming era. You can play the free demo of FOTONICA for the US powered by OnLive. You can play the free demo of FOTONICA for the UK powered by OnLive.